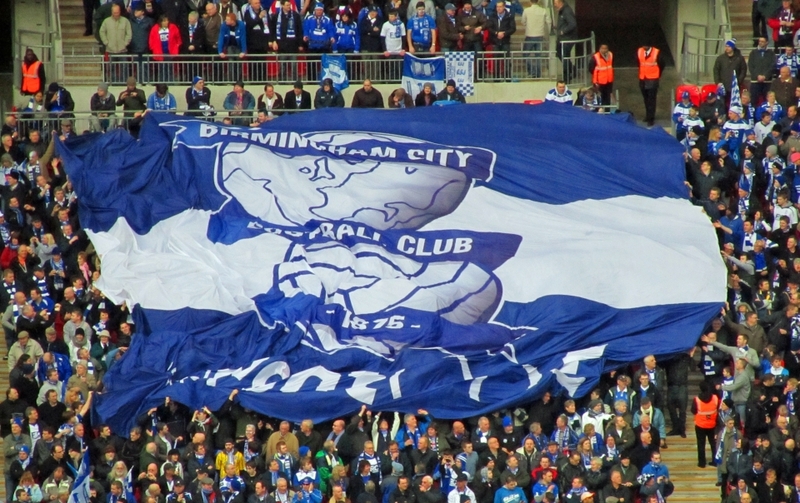 Two years ago today I travelled up to Wembley to watch Birmingham City play in the League Cup Final. I went with a young friend who was full of youthful enthusiasm. I tried to prepare him for the worst but it didn’t do any good. He was travelling with hope in his heart, believing that Blues could win. But I was travelling with anxiety, scarred by my memories of the 1956 FA Cup Final. I was a teenager back then and when I went to watch the game on my grandparents’ TV, I went hoping to see Blues win. I can still remember how miserable I felt watching them lose. So as we travelled up to Wembley in 2011 I was wondering if my young friend was heading towards heartache and if my taking him to the game constituted child abuse. But of course, his hopes were fulfilled and when Obafemi Martins put the ball in the Arsenal net he started leaping around while I, not daring to believe in such great good fortune, stood and anxiously checked all the match officials for any indications of the goal being disallowed. That’s what supporting Birmingham City for over 60 years does to your psyche. After the game, we travelled across London to Victoria Station, and for me that was one of the best parts of the day. Supporters of all the other London teams congratulated us on our victory over their rivals. It felt as though most of London was rejoicing with us. This entry was posted in Birmingham City FC, Football and tagged Birmingham City F.C., Football on February 27, 2013 by Puddleglum.